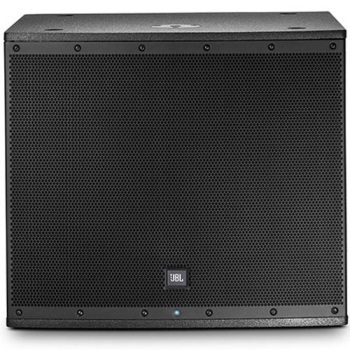 The JBL EON 618S powered speaker boasts a 1000W peak power amp in an enclosure designed to compliment any of the EON 600 series powered speakers, complete with an 18" JBL woofer. The EON 618S features an M20 threaded speaker pole cup for secure speaker pole use. Four JBL Engineered Application presets feature crossover settings and are accessible right from the rear panel of the subwoofer. On-board Bluetooth connectivity allows control over volume, 3 parametric EQ's, and a Hi-Low shelf EQ. The free control app is available for both iOS and Android devices.